Metal hyperaccumulation by plants involves the uptake and sequestration of extremely high concentrations of soil heavy metals. 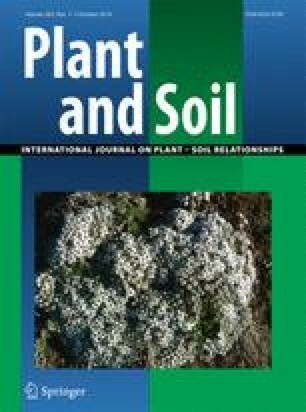 It is unclear, however, whether plants that hyperaccumulate heavy metals do so across all organs, including reproductive ones, and whether floral metal accumulation varies depending on whether plants require pollinator visitation for reproduction. We grew two species of nickel hyperaccumulators, one that requires pollinator visitation and the other an autonomous selfer, in two soil treatments: (1) control or (2) nickel-supplemented. We quantified nickel concentration in leaves, reproductive organs and floral rewards (pistils, anthers, pollen and nectar). Nickel accumulated into all organs, with the autonomously selfing species (Noccaea fendleri subsp. glauca) accumulating higher concentrations, especially in anthers and pistils. Streptanthus polygaloides incorporated nickel into nectar, but at lower concentrations than floral organs. Both species incorporated nickel into pollen. Nickel-hyperaccumulators incorporated nickel into all reproductive organs as well as rewards, suggesting possible reproductive consequences that may either be positive (e.g., elemental defense) or detrimental (e.g., reducing gamete viability or pollinator visitation) to plant fitness. Our work suggests that identifying any adaptive value of metal hyperaccumulation requires further study of floral metal accumulation and the reproductive consequences of metals in reproductive organs and rewards. K. DeHart and C. Murray assisted with plant organ/reward analysis, E. York and K. Schuller provided greenhouse assistance, G. Arceo-Gomez, M. Koski and the Ashman lab and two anonymous reviewers provided useful comments on the research and/or manuscript. This research was funded by a Botany In Action Fellowship from the Phipps Conservatory and Botanical Gardens, an Ivy McManus Diversity Fellowship (University of Pittsburgh) and an Andrew Mellon Predoctoral Fellowship (University of Pittsburgh) to GAM, NSF (EAR-IF 0948366) to DJB, and NSF (DEB 1020523, 1241006) to TLA.